This post contains affiliate links. I make a small commission from each purchase at no cost to you! 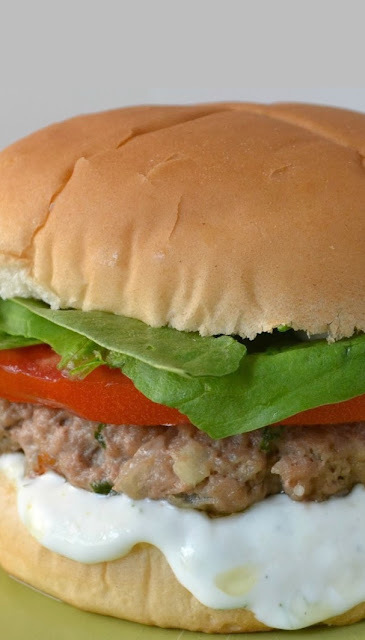 A fun, easy and delicious burger recipe that's great on the grill or stovetop! So healthy too! Hello! I hope you're having a fabulous weekend so far! I'm at home today packing and then attending a fundraiser dinner for my daughter's school tonight! Tomorrow is cooking and more packing. Closing on the house is less than 2 months away! We are so excited! I initially cooked this recipe back in August for the fun Cooking Planit Review post! 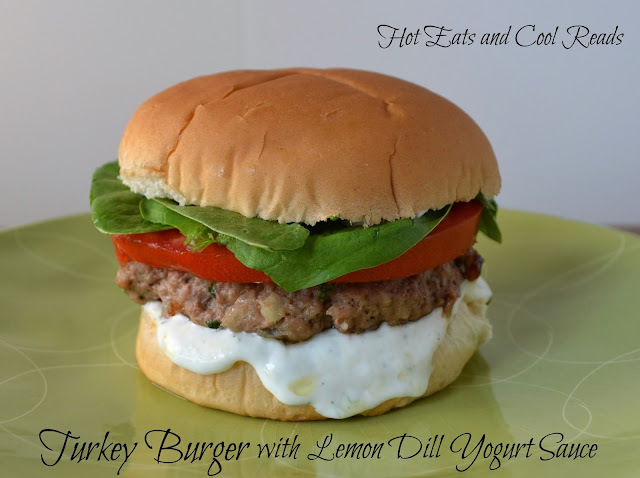 These were the juiciest turkey burgers I've ever eaten! They were packed full of flavor and the yogurt sauce was the perfect thing to top it all off! If you're wanting an easy and tasty recipe, this one is for you!! Combine all yogurt ingredients in a small bowl. Cover, and refrigerate until serving. In a medium sized bowl, combine all burger ingredients. Combine thoroughly mixing with your hands. Divide the mixture into 4 equal portions. Shape into round patties, indenting the middle of each one. Heat a large skillet over medium high heat. Add olive oil. When the oil is hot, add the turkey patties. Cook patties for about 6 minutes, flip then another 6 minutes, until cooked through. Spread yogurt on each side of the bun. Start with the burger on the bottom, then the tomato and spinach. Enjoy! oh yumm! that looks and sounds delish! pinning and sharing for later. Thanks! Definitely pinning this to my dinner ideas board. My husband loves turkey and yogurt sauces, this would be perfect!